1/9 An overview shows Spain's Carolina Marin (R) returns against India's Pusarla V. Sindhu during their women's singles Gold Medal badminton match at the Riocentro stadium in Rio de Janeiro on 19 August, 2016, for the Rio 2016 Olympic Games. 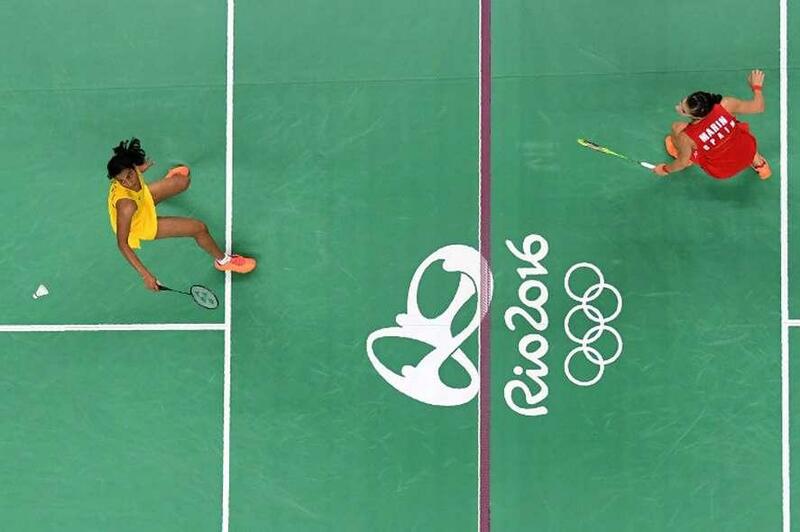 2/9 An overview shows India's Pusarla V. Sindhu returns against Spain's Carolina Marin during their women's singles Gold Medal badminton match at the Riocentro stadium in Rio de Janeiro on 19 August, 2016, for the Rio 2016 Olympic Games. 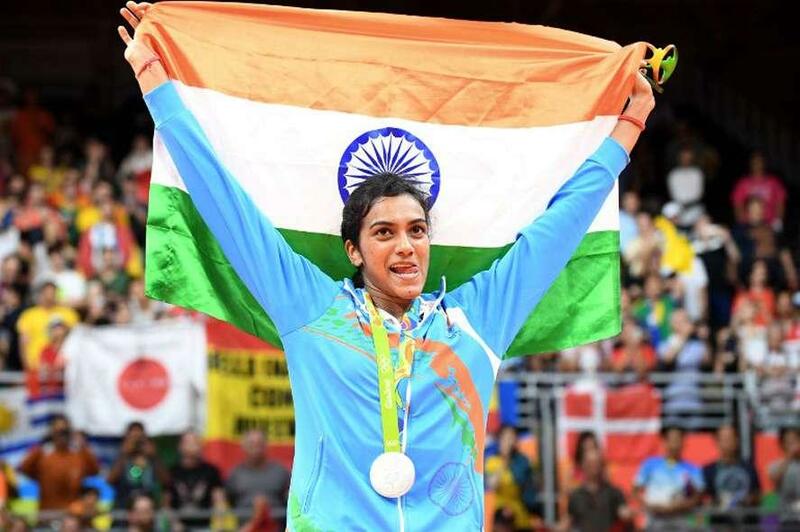 3/9 India's Pusarla V. Sindhu returns against Spain's Carolina Marin during their women's singles Gold Medal badminton match at the Riocentro stadium in Rio de Janeiro on 19 August, 2016, for the Rio 2016 Olympic Games. 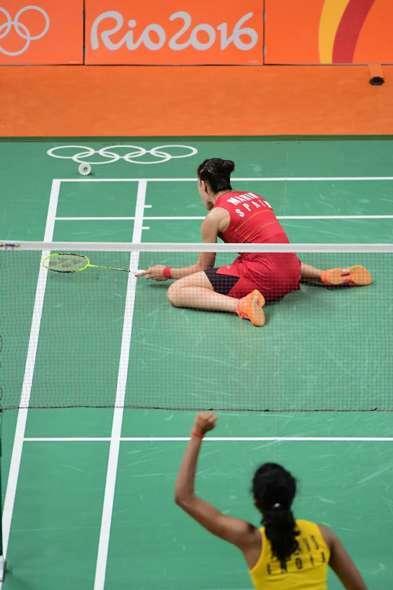 4/9 India's Pusarla V. Sindhu (R) reacts after winning a point against Spain's Carolina Marin during their women's singles Gold Medal badminton match at the Riocentro stadium in Rio de Janeiro on 19 August, 2016, for the Rio 2016 Olympic Games. 5/9 India's Pusarla V. Sindhu reacts against Spain's Carolina Marin during their women's singles Gold Medal badminton match at the Riocentro stadium in Rio de Janeiro on 19 August, 2016, for the Rio 2016 Olympic Games. 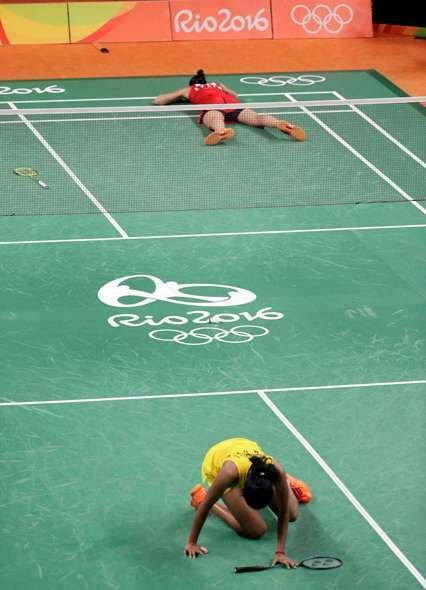 6/9 Rio de Janeiro : Spain's Carolina Marin, top, lies on the court after defeating India's V. Sindhu Pusarla, bottom, to win the women's badminton singles gold medal match at the 2016 Summer Olympics in Rio de Janeiro, Brazil, Friday, 19 August , 2016. 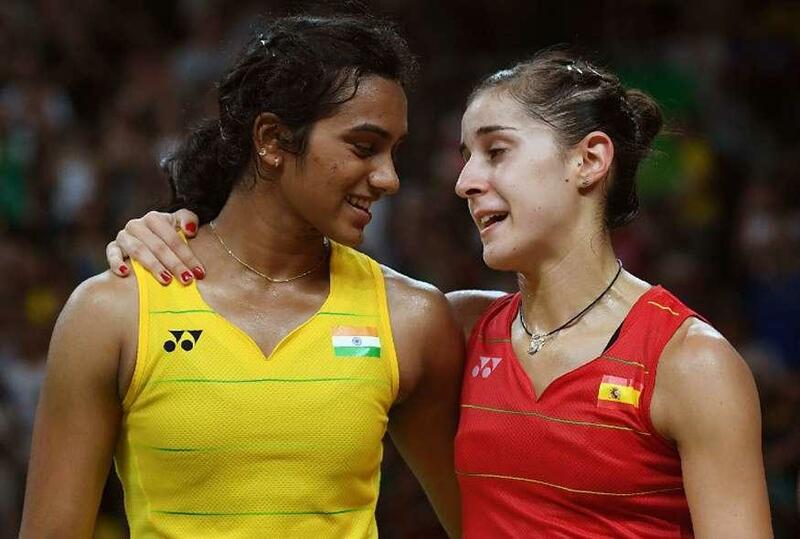 7/9 Spain's Carolina Marin (R) reacts after winning against India's Pusarla V. Sindhu during their women's singles Gold Medal badminton match at the Riocentro stadium in Rio de Janeiro on 19 August, 2016, for the Rio 2016 Olympic Games. 8/9 Silver medalist India's Pusarla V. Sindhu celebrates on the podium following the women's singles Gold Medal badminton match at the Riocentro stadium in Rio de Janeiro on 19 August, 2016, for the Rio 2016 Olympic Games. 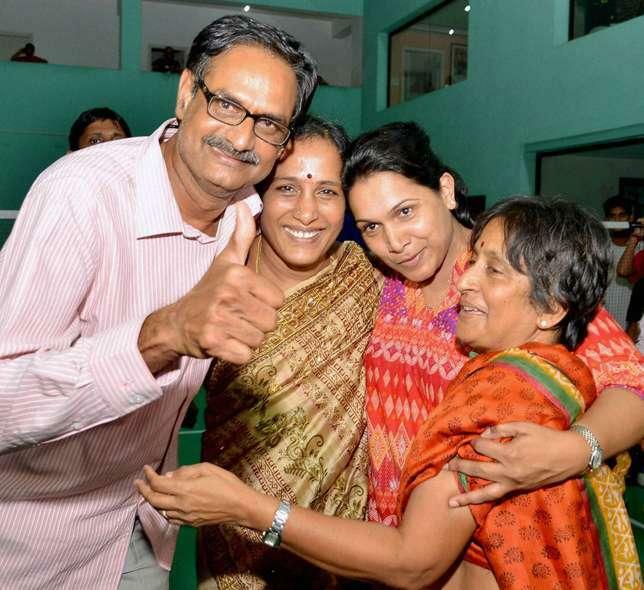 9/9 Hyderabad: Parents of and family members of shuttler P V Sindhu celebrate her win in the Olympic semifinal match on a TV screen at Gopichand Academy in Hyderabad on Thursday evening. 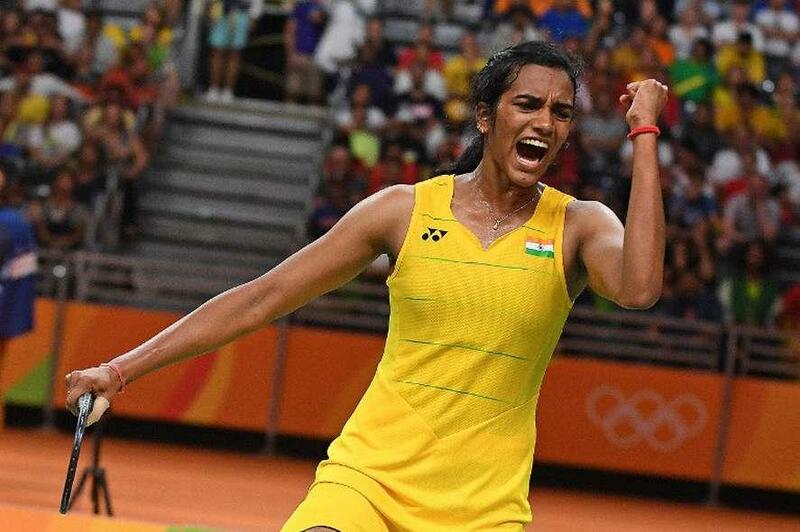 Things will be very different once Pusarla Venkata Sindhu returns to India. The Hyderabadi shuttler has done India proud by winning an individual silver medal. She lost to Carolina Marin in a hard fought three-game match and had to settle for silver - a brilliant achievement nonetheless, if one looks at how she pushed Marina, currently the world number 1, to the absolute limits of her game. She\'s now India\'s youngest ever individual medallist. Though it was sad to see Saina Nehwal, India\'s top ranked badminton player, go out in the group stages because of an injury, Sindhu took up the mantle ably and outplayed her opponents in every match leading up to the final at the Riocentre Pavilion. Initially, it seemed like Sindhu was a tad bit nervous in finding her feet. Marin wasn\'t but then, she\'s already a proven champ at the sport. 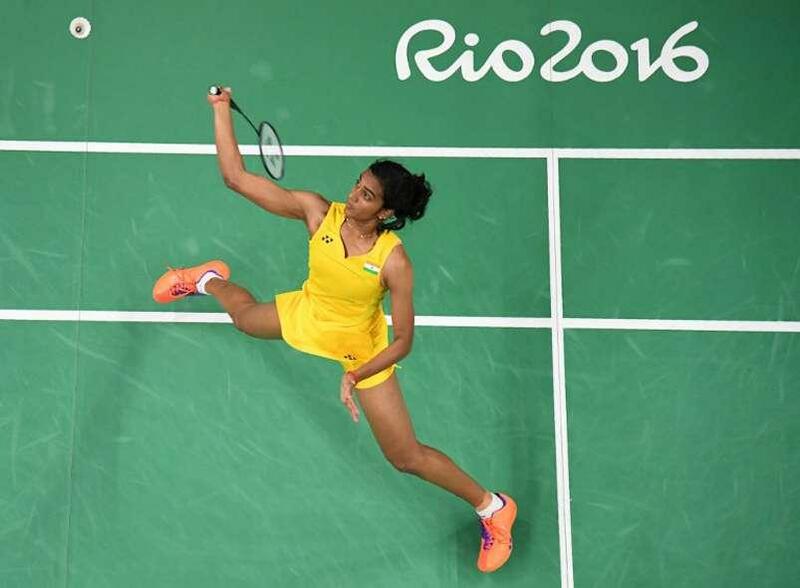 Despite the solid game she was up against, Sindhu\'s sheer tenacity saw her wrest the first game from Marin 21-19. The second game saw Marin shift gears to win 21-12. By the time the third game was underway, Sindhu was playing catch up. 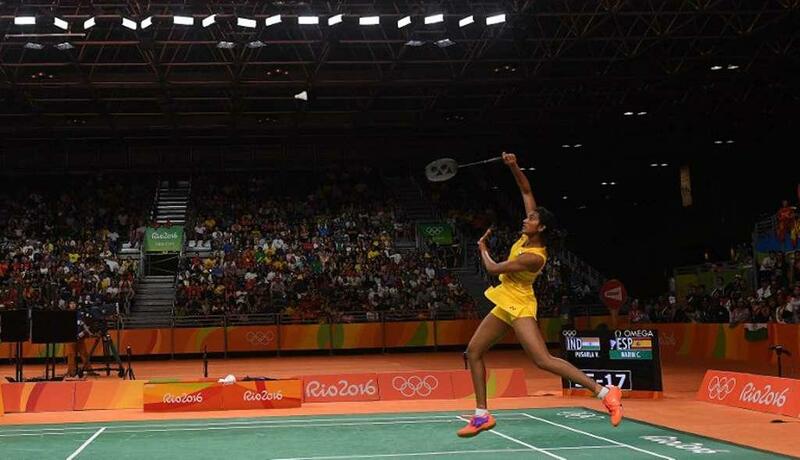 Marin\'s experience edged out Sindhu\'s grit and she lost the third game 21-15. In the end, Sindhu stood on the podium, smiling - all calm and poise, looking every bit the champion she really is. When the Rio noise around her tones down a little, and she comes back home, 21-year-old Sindhu has something to really look forward to. "Sindhu did not have her phone during the last three months. The first thing is I would return her phone. The second thing, after coming here for last 12-13 days, I had deprived her from having sweet curd which she likes most. I also stopped her from eating ice-cream. Now she can eat whatever she wants," Gopichand was heard saying to the media.